The Southampton striker is set to miss the opening Euro 2020 qualifiers with the Boys in Green. 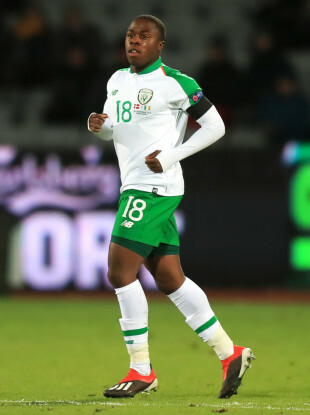 Michael Obafemi made his senior debut for Ireland against Denmark in November. MICHAEL OBAFEMI WON’T be involved for the early stages of Mick McCarthy’s second reign in charge of the Republic of Ireland. Southampton manager Ralph Hasenhüttl confirmed today that a hamstring injury has ruled the 18-year-old striker out for the remainder of the season. Having seemingly overcome a similar problem by returning to action as a half-time substitute in the 2-0 defeat to Arsenal, Obafemi had to be withdrawn just 20 minutes later due to a recurrence of the issue. “It’s a big blow,” the Southampton boss said in this afternoon’s pre-match press conference ahead of tomorrow night’s Premier League relegation battle against Fulham. Prior to his brief appearance in Saturday’s game at the Emirates Stadium, Obafemi hadn’t played since scoring his first senior goal for Southampton in their win against Huddersfield Town in December. The setback means he’s likely to miss Ireland’s first four Euro 2020 qualifiers. The campaign begins next month with games against Gibraltar (away) and Georgia (home), before resuming in June for fixtures against Denmark (away) and Gibraltar (home). Email “Blow for Ireland as Obafemi is ruled out for the rest of the season”. Feedback on “Blow for Ireland as Obafemi is ruled out for the rest of the season”.